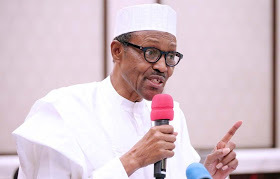 Those ganging up to unseat the President Muhammadu Buhari-led All Progressives Congress (APC) government ruined the nation's economy, the ruling party has said. It alarmed Nigerians to be wary of those deploying what is called stolen commonwealth to fund their political activities to stage to comeback to power. In a statement yesterday by the party's spokesman, Yekini Nabena, the party warned that such people were regrouping to use the stolen funds to subvert the will of the people through vote buying. Nabena, who is APC's Acting National Publicity Secretary, urged relevant agencies to proactively get involved in tracking election financing, pointing out that those with illegally-acquired money were using it to canvass votes for elective positions. Nabena said that Nigerians have not forgotten the yoke they bore under the "inept" Peoples Democratic Party (PDP) regimes and therefore deserve no more of it. He pointed out that public funds that could have improved education, healthcare sectors and provided infrastructure to develop the economic and social life of Nigerians were in the pockets of individuals. Nabena said in the statement: "While we alert Nigerians to the plot of some politicians to buy votes and deploy other illegal means to subvert the people's will during the coming elections, we urgently need relevant agencies to be proactively involved in the tracking of election financing . "The same people who criminally-diverted public monies to fund their political activities as brazenly displayed during past administrations must be prevented from doing same in coming elections. "Under the President Muhammadu Buhari-led All Progressives Congress (APC) administration, the scale of recoveries from corrupt elements in the past three years by the country's anti-graft agencies is testament that the administration's extensive anti-corruption drive is yielding results. "Compared to the past, successful prosecution of many corrupt persons, the hugely-successful whistle-blowing policy and voluntary return of corruptly-acquired funds and assets have shown that it is no longer business as usual and corruption is increasingly becoming unacceptable.